Hilde Opoku is currently working as a special advisor on the UN Sustainable Development Goals for the Minister of Finance in Ghana, and is appointed to the newly established Transformation Unit for the country (Ghana). 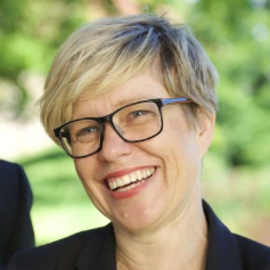 She is elected Deputy Mayor of Trondheim, the leading city on sustainable science and technology in Norway , but is now on a one year leave of absence. She has been instrumental in transformative policy developments for Trondheim since 2003. She is a former spokesperson for the Green Party in Norway. For more than 10 years she has initiated and facilitated environmental and entrepreneurial education programs in Ghana (Up to Senior High School). She has her academic background from Political Science and Industrial Ecology.